In these classic stories acclaimed author Jack Schaefer yet again captures the spirit and adventure of the Old West. 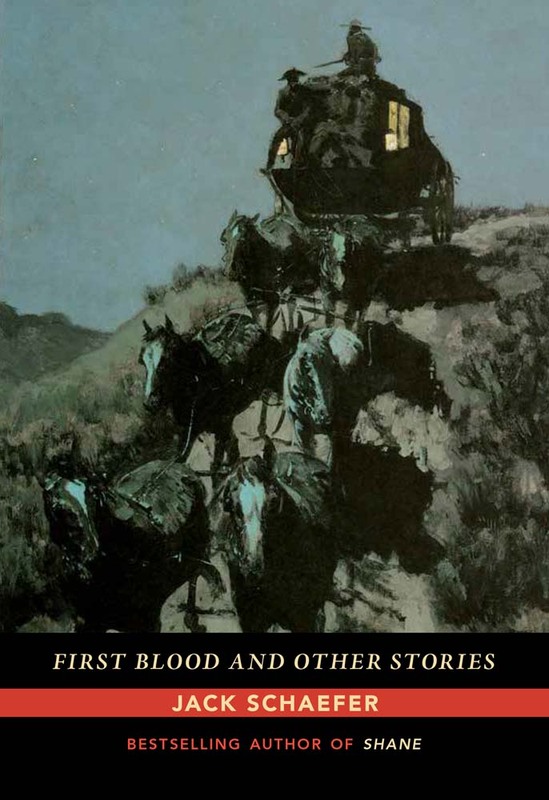 First Blood, Schaefer’s follow-up to Shane, tells the tale of Jess Harker, a young stagecoach driver finding his way in this coming-of-age story. Jess admires Race Crimm, the Company’s top messenger, for his stature and wild abandon and would have “shucked ten years of (his) life to be driving beside him.” Jess, eager to ride the big trails, has the chance to prove himself by driving an important shipment when trouble arises. Facing hard choices of honor and justice, he must pick a side because his life might just depend on it. “Jacob,” “Salt of the Earth,” and “One Man’s Honor” complete this engaging collection of stories by award-winning American treasure Jack Schaefer.